Get injured animals from the street to a veterinary hospitals, where they could be treated. Rescue dogs and puppies fallen into deep ditches. 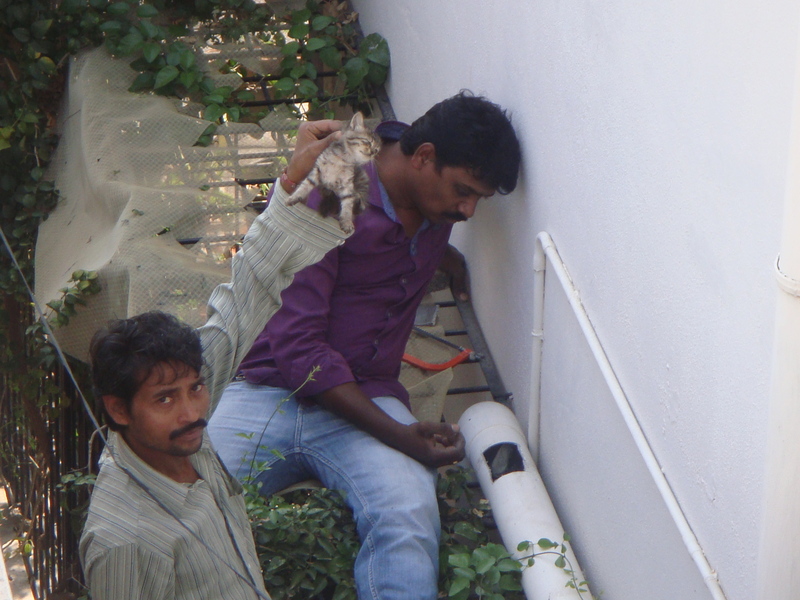 Rescue cats from high rise buildings. Counsel and convince people to retain their pets instead of giving them away or worse abandoning them. Find loving homes for abandoned pets. Get stray puppies, kittens and even baby squirrels adopted. Convince people to leave beehives and monkeys alone, in the spirit of live and let live. Console people grieving for their dead pets and help them find burial grounds and crematoriums, as their companion's final resting place. Provide information about veterinary doctors, pet trainers, animal NGOs, pet burials and cremations etc. 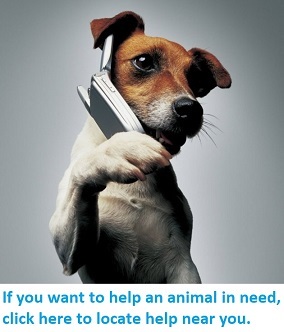 STRAW’s Animal Helpline is currently available for callers in the National Capital Territory of Delhi. Our helpline phone number has been constantly promoted in neighborhood, phone and online directories. Its introduction is an integral part of each of our humane education programs at various schools and other congregations. Since 2008, STRAW with the support of our donors, volunteers and thousands of callers whose hearts beat for animals, has been able to help more 3,000 animals in distress and has sensitized double the number of people on compassion towards animals, empathy for people and care for the environment. After you have called us, please make sure that you stay with the animal until help arrives. In case you are unable to stay with the animal for any reason, please hand over the charge of staying with the animal to somebody like a shop keeper, etc. in the vicinity. This is to make sure that the animal in trouble gets relief, for sure. It’s not unusual to find the animal is missing when the ambulance arrives on site.